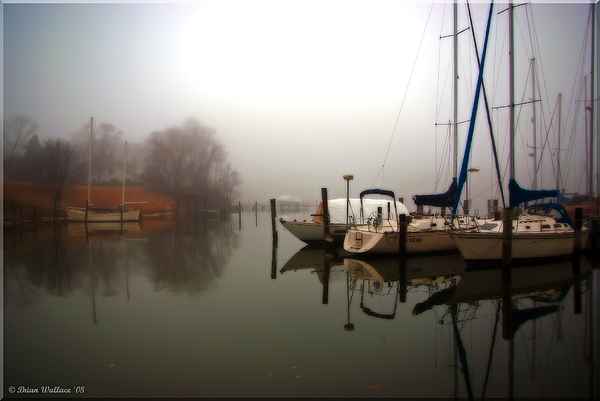 There are no comments for Misty Reflections. Click here to post the first comment. 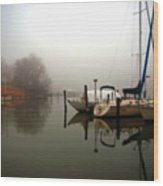 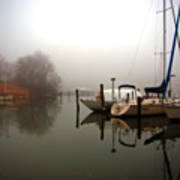 2D atmospheric foggy image of White's Cove with some sail boats docked at Oak Point Harbor Marina in Pasadena, Maryland.